Summer is in full swing, which means that Father’s Day is coming soon. Don’t forget to show Dad how much you care! If you are at a loss for gift ideas, or at a loss for time in which to go shopping, leave it to your Travel + Leisure Family Club Personal assistant. 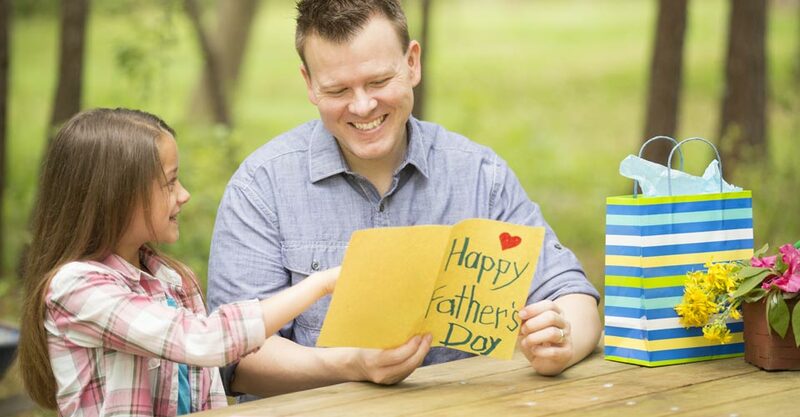 We make thinking of your pops easier than ever—whether you want to take Dad to dinner, give him a gift, or arrange for him to spend a day on the golf course—we are here to help. Dining Reservations: Whether Dad prefers breakfast, brunch, lunch, dinner, or all four, we can help you make reservations at the ideal spot. Your Personal Assistant can provide you access to the Preferred Restaurant Program, which provides our members with access to VIP treatment at hundreds of restaurants throughout North America and Europe. Preferred restaurants offer our members a special value-added benefit when reservations are booked via the Personal Assistant. These VIP benefits can include a complimentary appetizer, dessert or glass of wine, private tour of the kitchen or wine cellar, or a Chef’s table visit. Gifts: Whether Dad is a golfer, a builder, a sportsman, or simply likes to relax with his family during his down-time, we can provide you with the ideal gift to show him what he means to you. From discounts on golf merchandise with In The Hole Golf, to discounts on wine with JJ Buckley. We can even provide you with a 10% discount from 1-800 Flowers and a 40% discount off of the Sacs Collection from Sacs of Life. Golf Tee Times: If Dad is an avid golfer, look no further than the Travel + Leisure Family Club Personal Assistant to provide him with a gift he won’t soon forget. From booking tee times at his favorite local course, to access to private courses around the world, to lessons at the world-renowned Butch Harmon School of Golf, call your Personal Assistant to help develop a gift for Dad that will knock his socks off.